Floating Words | The Tetris Moment, Example 2: "I offer them all." This is part 3 of 5 in a multi-part series about what I call the Tetris Moment in storytelling. There will be spoilers for important plot points of Berserk in this essay. In the introduction to this list, I mentioned different ways for the writer to set up their Tetriminos. They can chose to do so in secret, aiming to hit the unsuspecting audience with a bang, or opt to let their characters be the ones to put the pieces in place in plain sight. In the latter case, the Tetris Moment is likely to occur within the narrative, meaning the one experiencing it will be a character instead of (or at least in addition to) the audience. One of the finest examples for such a diegetic Tetris Moment happens to Griffith in Berserk. Berserk’s first episode doesn’t leave any doubts about the tragic ending of the friendship between protagonist Guts and someone named Griffith. When Guts first meets and befriends said Griffith in the flashback spanning from the second to the series’ last episode, we already know things are not going to end well for those two. What we don’t know is what will happen between them for Guts to end up seeking revenge. Let’s find out and jump right towards the end of the flashback, where the Tetris Moment occurs. 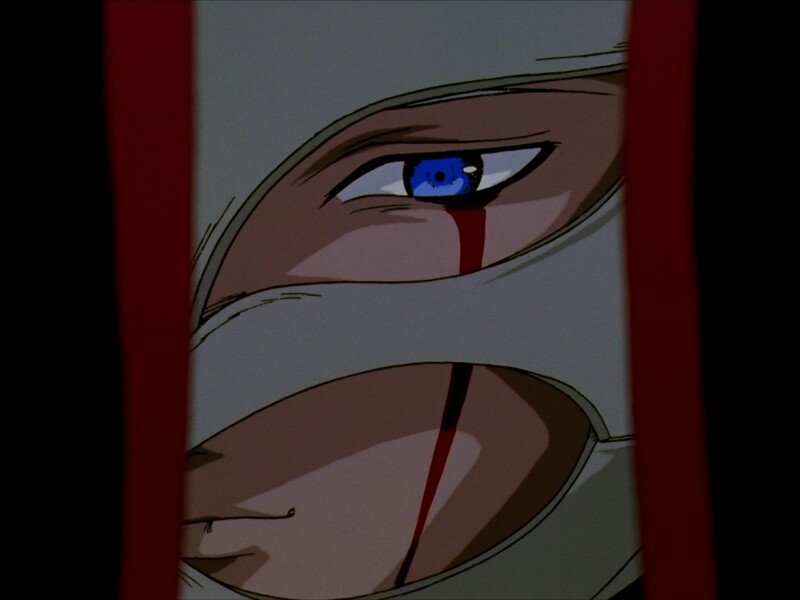 After being imprisoned and tortured for a year following his fall from the king’s grace, Griffith is finally rescued by his mercenary friends. But their formerly invincible leader has been reduced to less than a shell of his old self. It becomes clear to both himself and his followers that never again will he be able to lead them to victory, let alone fulfill his ambition of having his own kingdom. Griffith’s dream has ended. Just when he is ready to admit defeat and end his own life, Griffith gets a second chance at realizing his lost destiny – at the price of sacrificing his friends. Among those friends is Guts, his most loyal man. 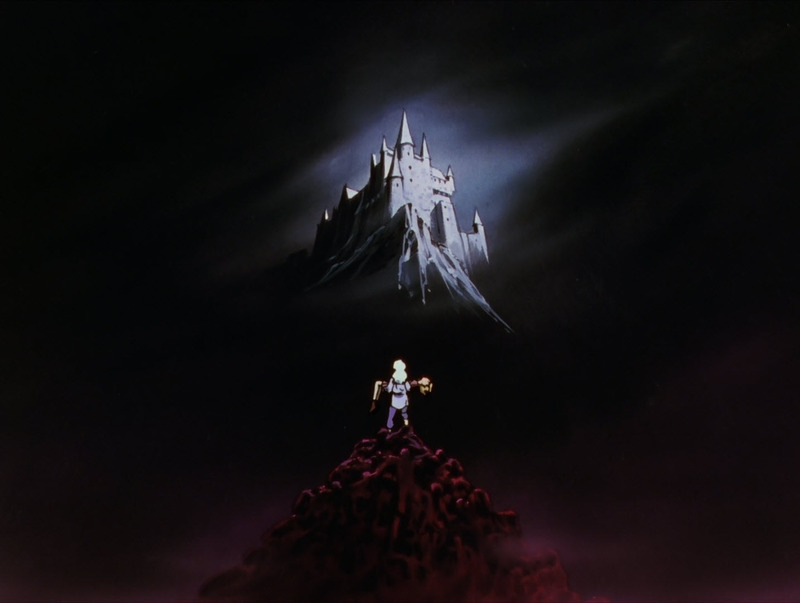 After a brief journey back into his childhood memories, Griffith offers what’s left of his flesh and blood to be reborn as an all-powerful demon king, accepting the deaths of everyone who ever followed him as the price. I’ve written extensively about why I believe Berserk‘s main cast to be among the best characters ever created in manga and anime. They are complex, fascinating and flawed in wonderfully human ways. And they are always true to themselves. Griffith’s decision to sacrifice the people who love and trust him is abhorrent, leaving no possibility for redemption. It’s also the only logical path left for him to take. Turning back now would negate everything he did to arrive at this junction. Berserk is a character-driven show. Every interaction between Griffith and Guts, every choice they ever made has built up another line of Tetriminos and led them to this moment. It’s time for the final piece to be put into place, and it is Griffith himself who realizes the inevitable last link of the Tetrimino chain he has created. For someone as rational and unfettered by emotions as Griffith wants to convince himself to be, his choice is a deeply personal one. Perfecting the art of not caring for years, he only ever admitted to having comrades, not friends. And yet it was his own inability to not care about Guts which caused Griffith to make a stupid and fatal mistake, leading to his fall from glorified war hero to imprisoned enemy of the king. 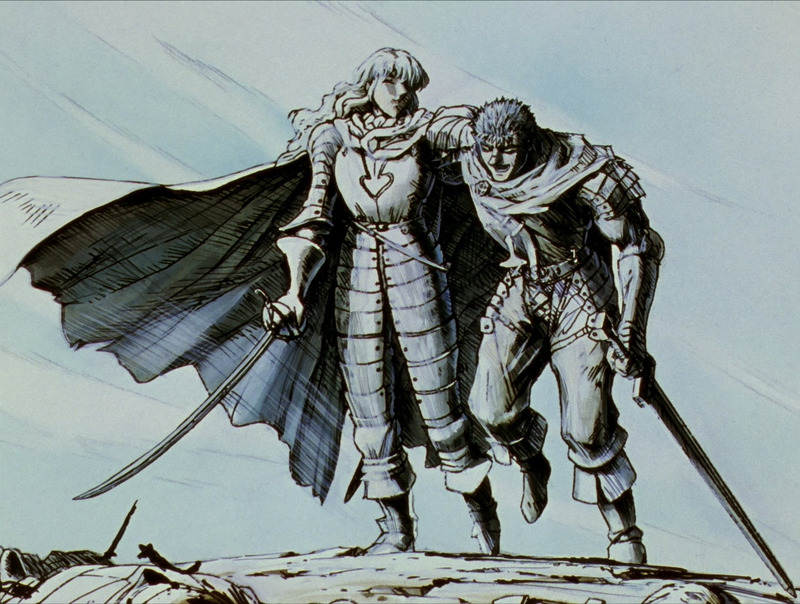 When Guts rushes in to save his friend, Griffith identifies his feelings as the cause to be blamed for his demise. In the absence of any music or background noise, he calmly voices his epiphany over a still of him and Guts from better times – his final words as a human being. Yes… Out of all the thousands of comrades and tens of thousands of enemies. Only one… You and you alone… You made me forget my dream. I offer them all. With a peaceful smile on his lips, he finally succeeds at ridding himself from his last ounce of humanity, the ultimate conclusion of a path he embarked upon long ago. Punishing Guts for making him care, Griffith will be reborn as a demon in a crowning, vicious and deeply human moment of gut-wrenching sadness.